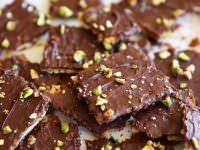 Chocolate Toffee Matzo Crunch has got to be one of the most popular and beloved Passover treats out there. The original version of this classic dessert appears in Marcy Goldman’s terrific book, A Treasury of Jewish Holiday Baking. My take on it doesn’t vary all that much from hers. I made a couple of small adjustments, like adding a pinch of sea salt to the toffee mixture and using a thicker layer of chocolate on top of the toffee. Of course I play with the toppings, which can vary quite a bit. Otherwise, the basic concept remains untouched. Why mess with greatness? 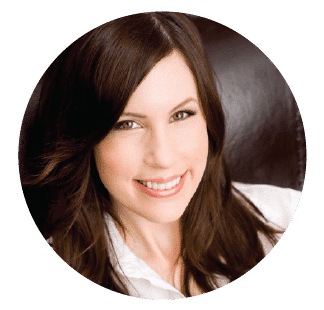 I hesitated to even blog about this recipe; it’s so incredibly popular at this time of year that it’s hard to imagine my readers don’t already know about it. On the off chance that somebody has never tried Chocolate Toffee Matzo Crunch, I present it here as a little seasonal gift to you. 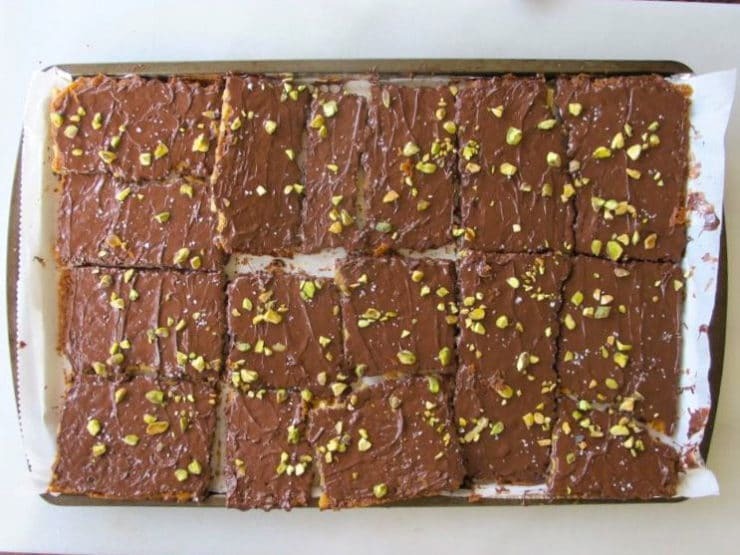 Marcy Goldman was really on to something when she came up with this genius Passover dessert. You can decorate Chocolate Toffee Matzo Crunch with a variety of toppings– chopped nuts, drizzled white chocolate, sea salt– use your imagination to create a flavor combination that best suits you! My favorite combo to date is the one that appears in these pictures– chopped pistachios with a very light sprinkling of sea salt. If you haven’t tried chocolate with sea salt, you’re in a for a treat! This treat can be made with either butter or margarine, however I had better results with butter than I did with the margarine. 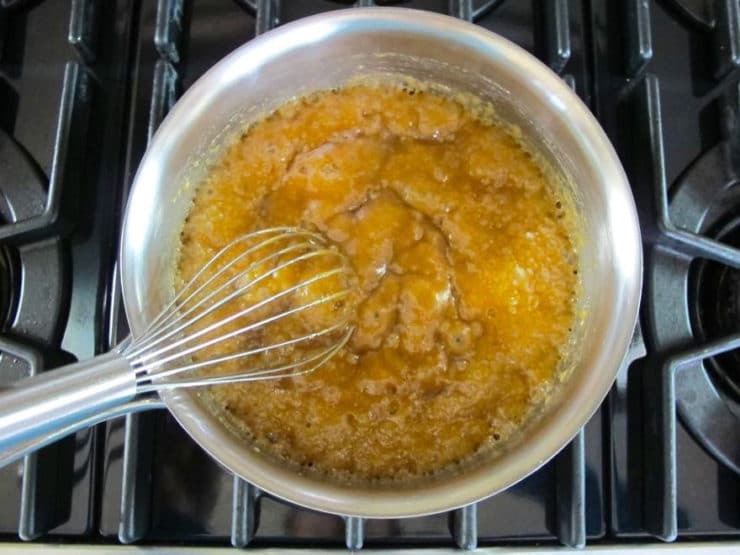 The butter-made toffee spread more evenly (less grainy) and baked up crisper. This is a candy-like confection that can be enjoyed on its own or used as a topping on a Passover ice cream sundae. The best part? It’s ridiculously easy to make. 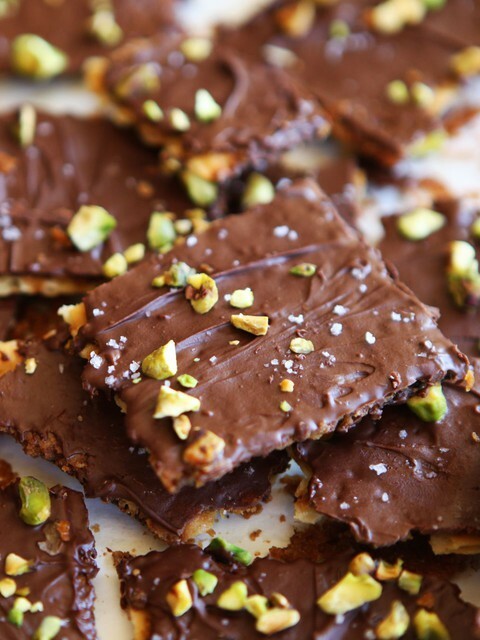 Have you ever tried making Chocolate Toffee Matzo Crunch? What are your favorite toppings? To purchase Marcy’s cookbook, A Treasury of Jewish Holiday Baking, click here! Chocolate Toffee Matzo Crunch with Pistachios & Sea Salt - Delicious Passover dessert inspired by Marcy Goldman's "A Treasury of Holiday Baking"
Preheat the oven to 375°F. Line a sheet tray with a layer of foil, then cover the foil with a sheet of parchment. 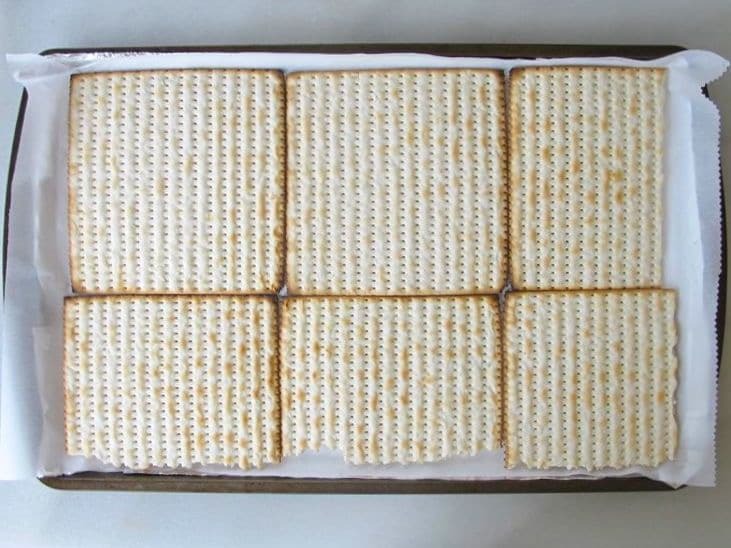 Evenly cover the sheet tray with matzos. Break or cut the matzos into smaller pieces if necessary. In a heavy bottomed saucepan, combine the butter, brown sugar, and a generous pinch of sea salt. Cook over medium heat, whisking constantly, until the mixture comes to a boil (about 2 to 4 minutes). Boil for 3 additional minutes and continue stirring constantly. Remove from the heat and pour the toffee mixture over the matzos. Use a spatula to spread evenly across the entire surface of the matzo. Make sure you spread it out fairly quickly or it will start to get sticky and become harder to smooth over. 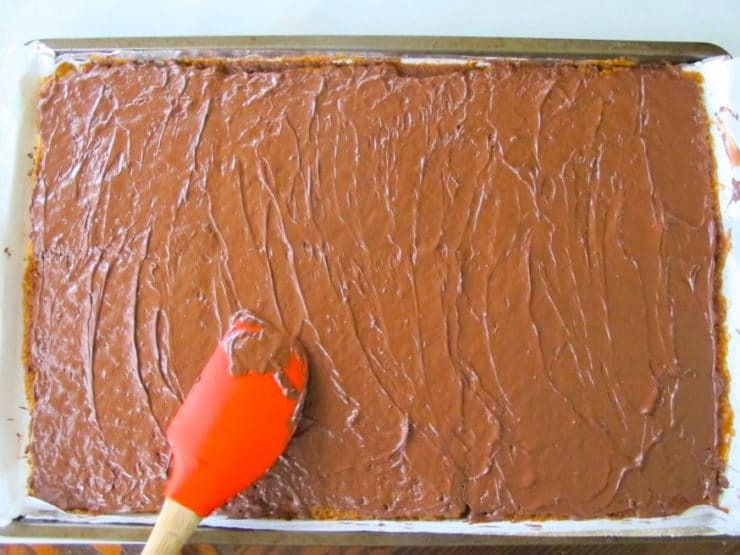 Place the baking sheet in the oven and immediately reduce the heat to 350 degrees F. Bake for 15 minutes. Check frequently to be sure that the mixture is not burning. If it appears to browning too quickly, remove the tray from the oven and reduce the heat to 325 degrees F, then replace the tray when the temperature drops a bit. Once 15 minutes have passed, remove the matzos from the oven and evenly sprinkle the chopped chocolate chips over the top. Let stand for 5 minutes, then spread the melted chocolate over the matzo. 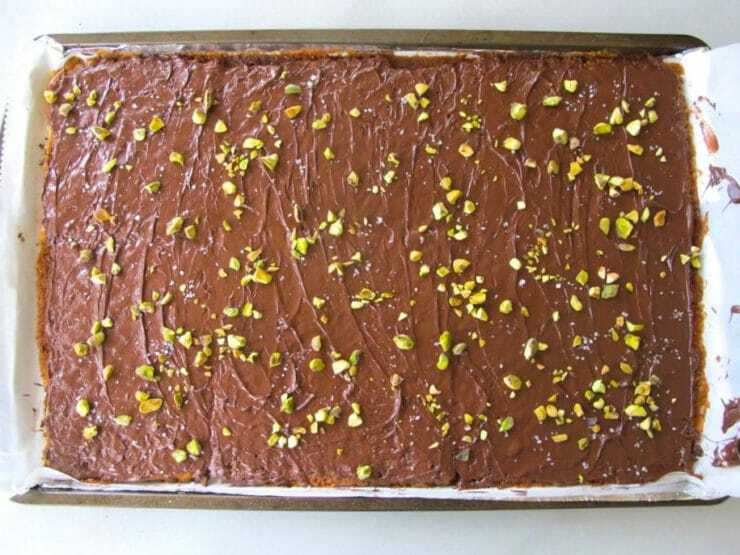 Sprinkle the chopped pistachios and a light sprinkle of sea salt over the top of the melted chocolate. 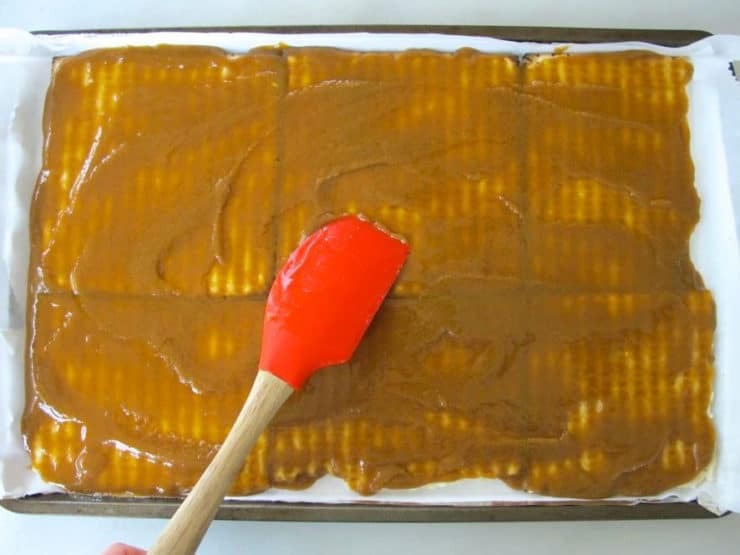 While the matzos are still warm, break them into smaller squares or pieces. Place in the freezer until the topping has set. Serve straight from the freezer, chilled, or at room temperature (I prefer it chilled!). I’m making this for Christmas! It’s in the oven right now. I’m going to finish it off with some toasted pecans and sea salt. Yum! I’m trying to understand the sugar science here. 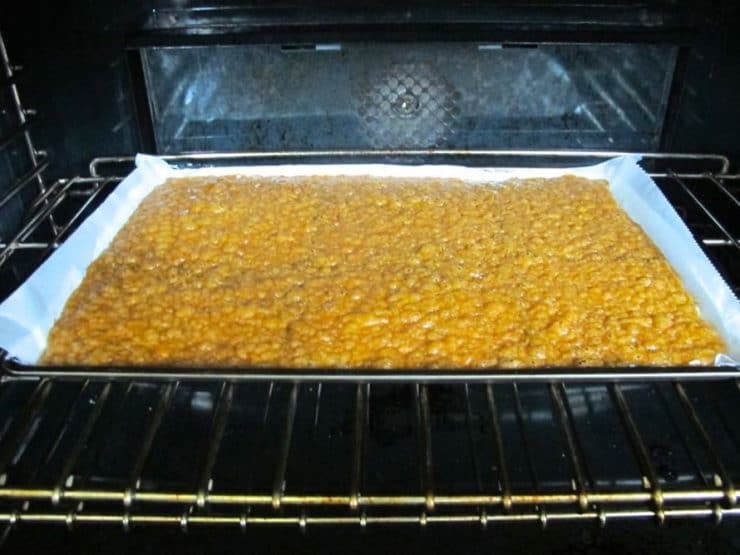 I know that the sugar has to be heated to a certain temperature to get to the crunchiness that is associated with toffee. Does that happen in the saucepan, or is it getting to the toffee temperature in the oven? There seem to be a lot of variables. Tori, I have been making this every Passover for a very long time. One year, I used coffee and chocolate chips for a mocha java topping. Sublime! Never found those coffee chips again…. Everyone at our Messianic Synagogue absolutely love these. It is requested every Passover. Thank you for making it one of our favorite desserts and a great success. Would you recommend any other substitutes for butter besides margarine? I don’t have any other substitutes to recommend. This is absolutely awesome. 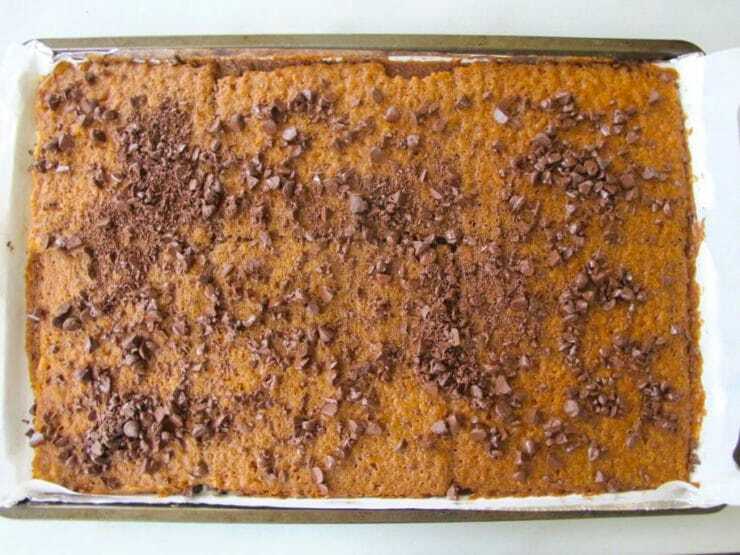 Easy recipe and if you do make it ahead of Passover be sure to hide it in the back of the freezer so it won’t be seen, otherwise it will be gone in a flash. I make this every year and it’s always a hit. 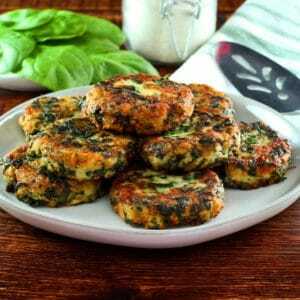 I am forever looking for great recipes and treats to make for my Jewish husband and his family. So I am so glad you shared. This is for sure a keeper. I made one batch with matzo, and for my GF daughter as I could not find GF matzo I had to improvise I found Blue Diamonds honey cinnamon nut thins. This recipe turned out perfect both are completely delightful. Thank you for the recipe. Would Coconut sugar sub for the brown sugar? Lea Ann, the flavors are different for those two sugars… not sure if the sub will work out. I would have to test it. 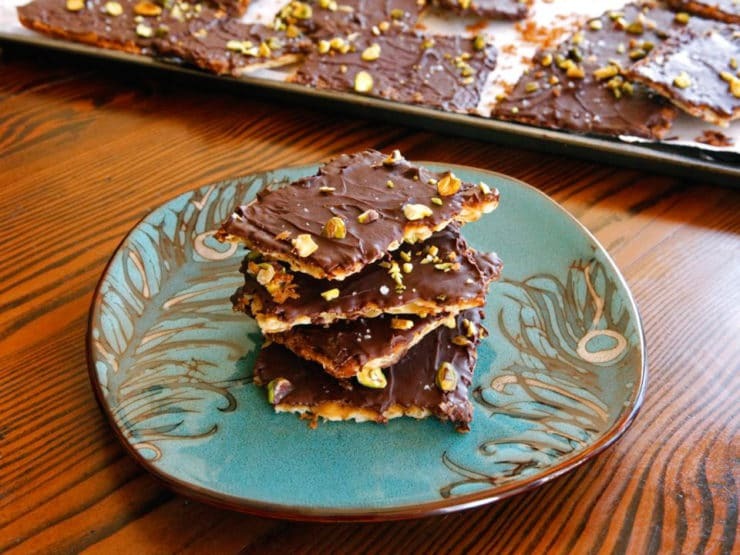 I can’t wait to try tour recipe… with past recipes the toffee has never quite hardened. Any idea why? Thank you! Have you used margarine in the past? In my experience butter tends to firm up better than margarine in this recipe. Is the brown sugar in the recipe soft or the packed kind? Hi Elyse, Tori’s assistant Ashley here. The brown sugar is packed into a 1 cup measuring cup. The recipe is looking so delicious and tasty. I love chocolates. That’s why I try this at home. 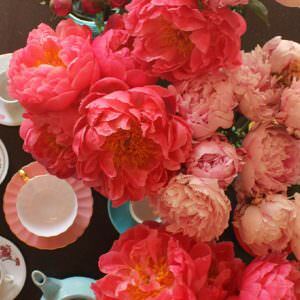 I love this recipe and have been making it for a few years! This time I added a bit of vanilla to the toffee, and used my own homemade matzos (it’s impossible to find the store-bought stuff in my neighbourhood). Soooo delicious! Also I do find it takes a lot longer than 2-4 minutes to get the toffee boiling on medium heat, but that could just be my stove. And finally… My favourite part… Scraping out the leftover bits of toffee from the saucepan, yum!! Just made this to bring to Passover Seder with friends — it came out great!! Can you substitute the butter for coconut oil? I haven’t tested this, I’m not sure. Coconut oil doesn’t always make a perfect sub for butter because of texture differences. The only way to know would be to try it out. Sorry I can’t give more specific guidance! This recipe is wonderful and is loved by every single person who has tried it. Many are not even aware that the base is matzo, I have had people think it is a pretzel bark. My family raves about recipe and asks for it all the time. I often make a double batch because no one can keep their hands off this stuff! It is the perfect blend of salty sweet and crunchy. Every time I make it someone asks for the recipe. It is just wonderful and such a treat! I just made this! OMG! Sooo decadent and wonderful! I had 5 boards of matzoa left over from making your Matzo, Artichoke Spinach, Feta Cheese Mina…….which by the way, was Yummy! I substituted some lower glycemic index sugars for the 1 C of brown sugar…..I used a mixture of Palm sugar Maple sugar, a little real light brown sugar and the rest a stevia/raw sugar blend. It turned out perfect…very caramel-y. For the chocolate I used vegan mini chocolate chips…..now I have to keep myself away from the freezer….easy to eat the whole thing! Soo Yum! Thanks for your GREAT recipes! PS. My husband & I live in Florida…away from my family. Passover was always my favorite holiday growing up…we had grand Passover feasts…..now…since there is no family here…I like to make something with matzoa or something Jewish to remind me of our wonderful Jewish heritage and traditions. It’s wonderful to have all of your fabulous revipes to choose from, Tori. Only have one word for this. YUM! I made two batches of this in anticipation of our Seder this weekend. I had never made toffee before, but it turned out perfectly both times. The first batch is topped with chopped pecans. The second batch is topped with chopped pistachios and dried cranberries. Then after refrigeration, I drizzled some melted white chocolate over the pistachios and craisins. Yummy and gorgeous. Hello! 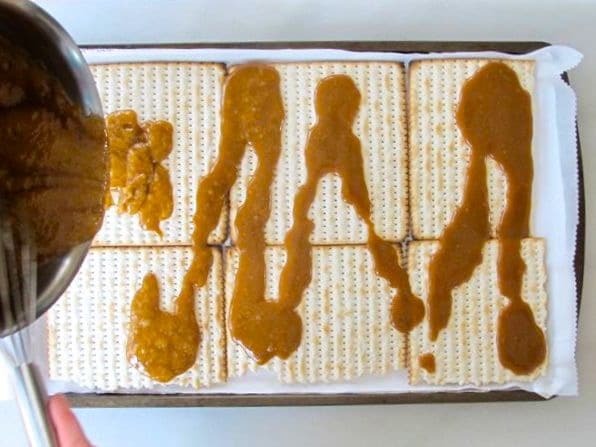 Thanks for sharing this yummy Passover treat! My family enjoys eating this wonderful creation with the addition of mini marshmallows OR shredded coconut on top of the melted chocolate. Thus, after melting the chocolate, I cover/sprinkle half the top with mini marshmallows, and the other half with coconut. I give the entire top a “gentle press” with the bottom of a glass, and refrigerate until the chocolate has hardened. I then remove and cut into bite sized pieces. Finally, I place each treat (or several stacked), into a colorful cupcake liner. I then place/present/serve these favorite holiday sweets onto a lovely dessert tray. Again, thanks for sharing, and a Happy Passover to all! Marcia that’s a good question, I’m afraid I don’t know how to answer it. I’ve never tried this with ghee. Since it goes in the freezer anyway, can I make it a week ahead and keep it frozen until that day? What do you suggest? Karen– yes, most definitely. Enjoy! Wondering if anyone has tried this with coconut oil instead of butter/margarine?